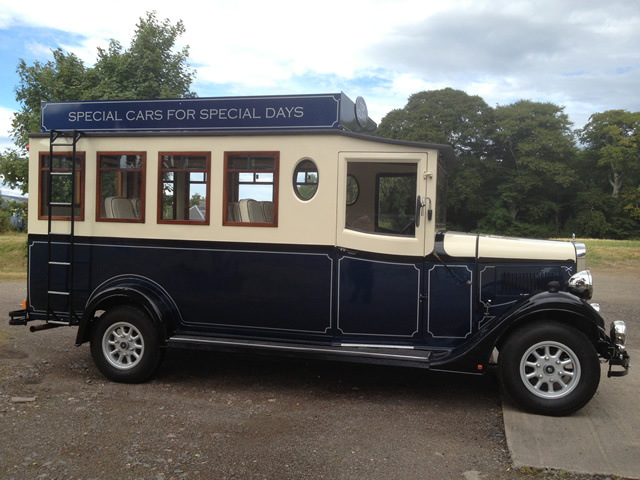 The colour scheme has been chosen carefully to match with the other vehicles in our fleet and is Sapphire Blue and Cream with Black mudguards and running boards. 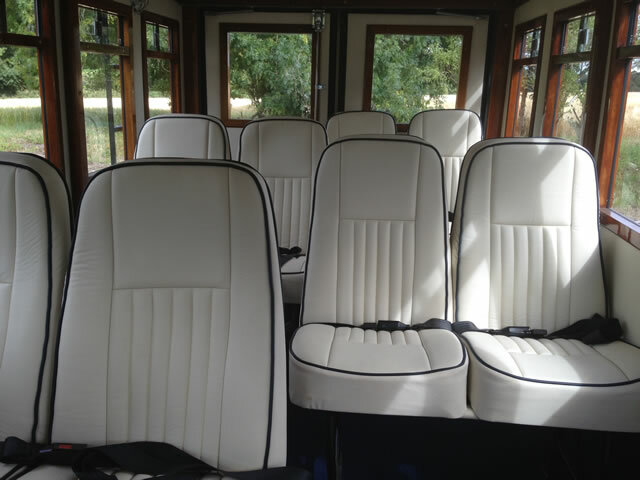 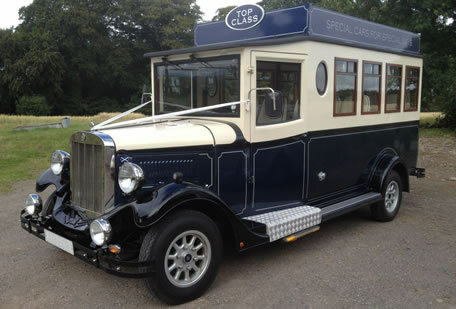 The interiors were also completely replaced and now have cream leather seats with blue piping, cream side and roof panels with varnished wood. 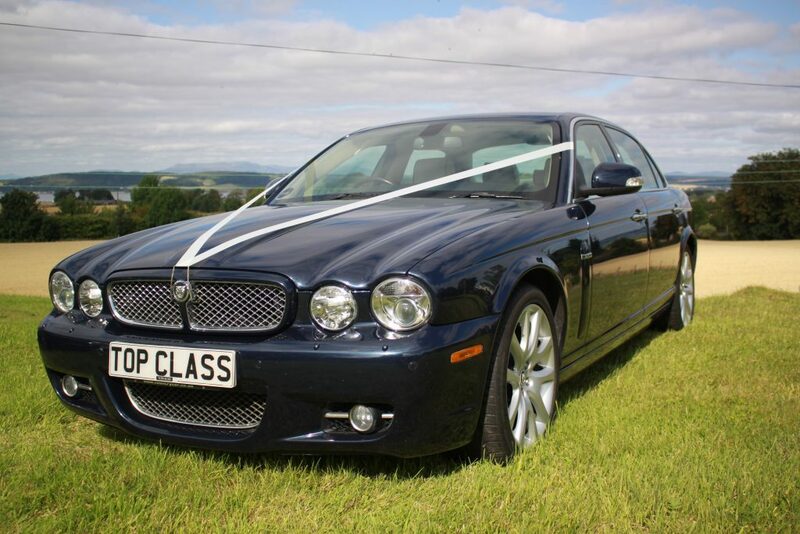 A deep blue carpet to match completes the luxurious finish. 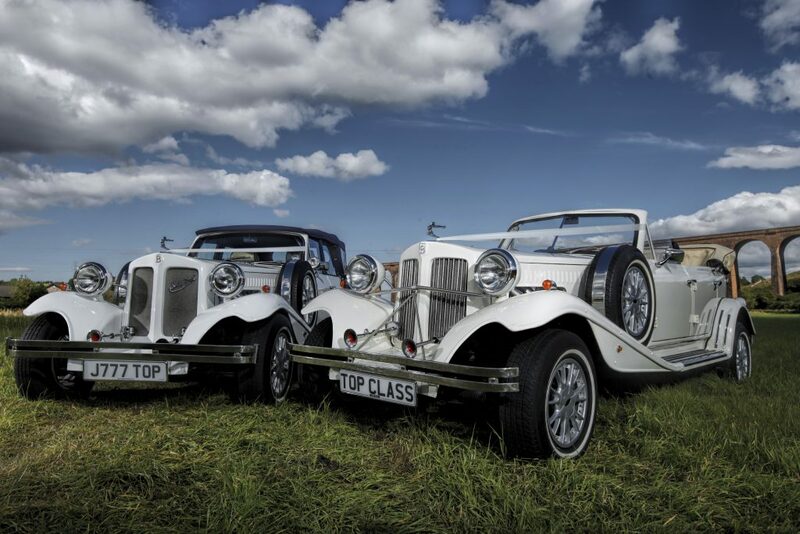 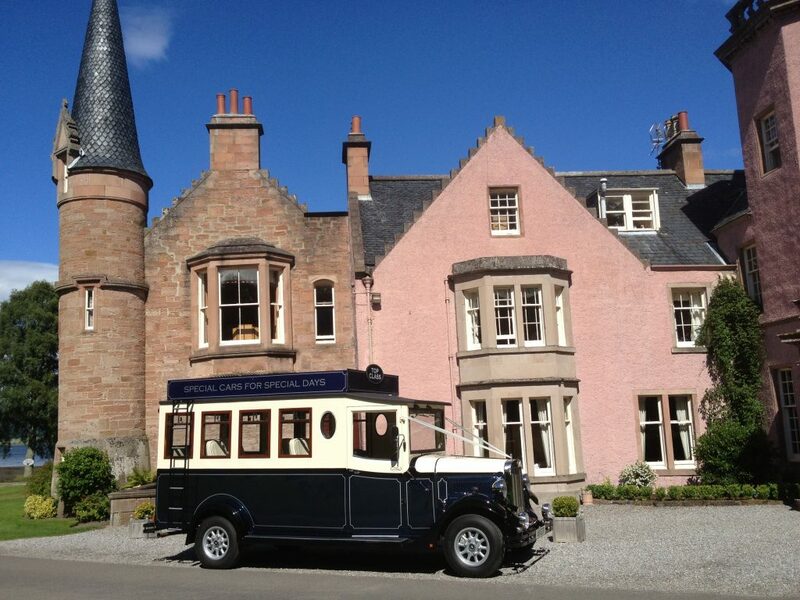 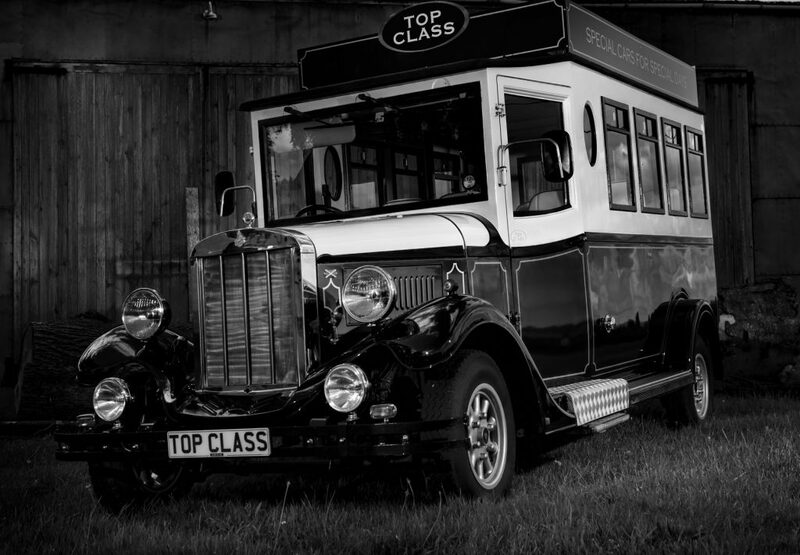 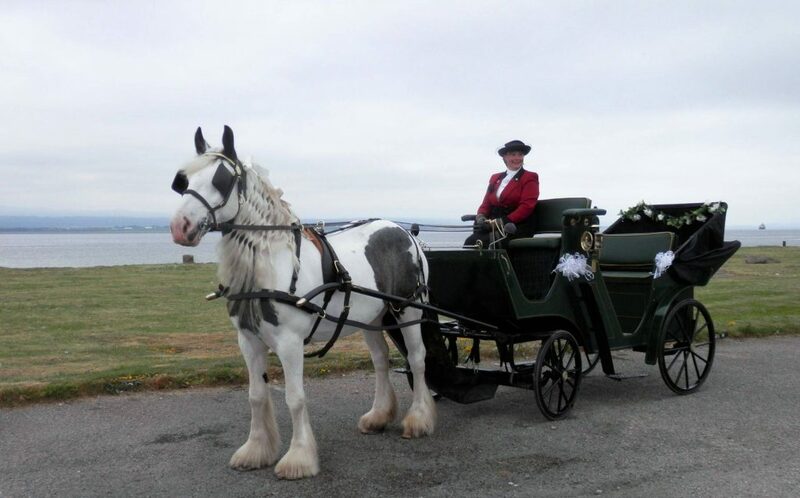 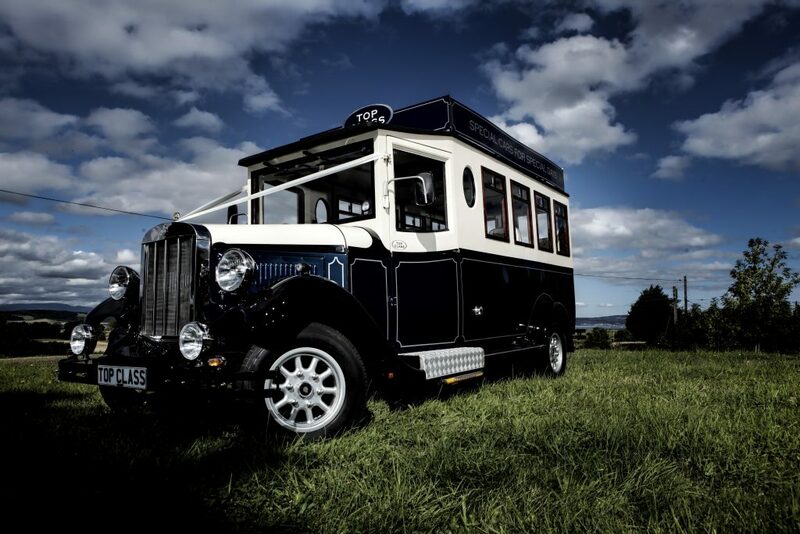 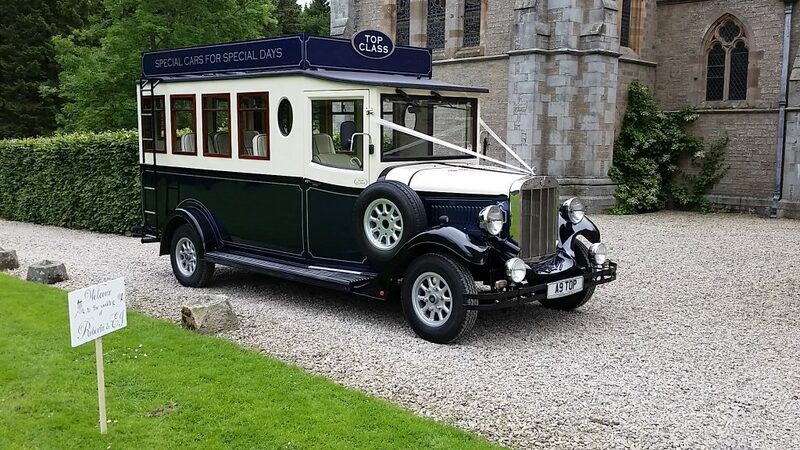 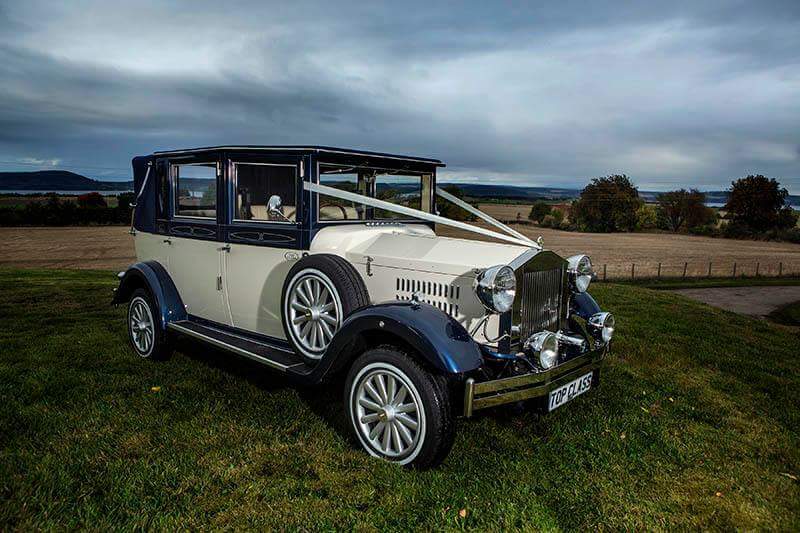 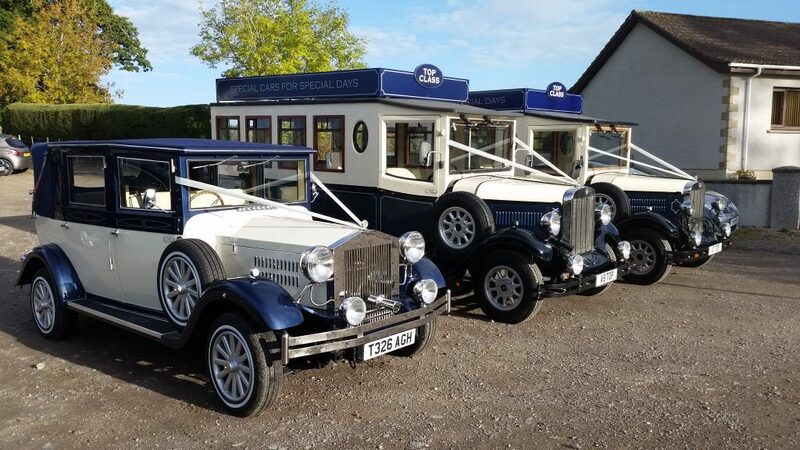 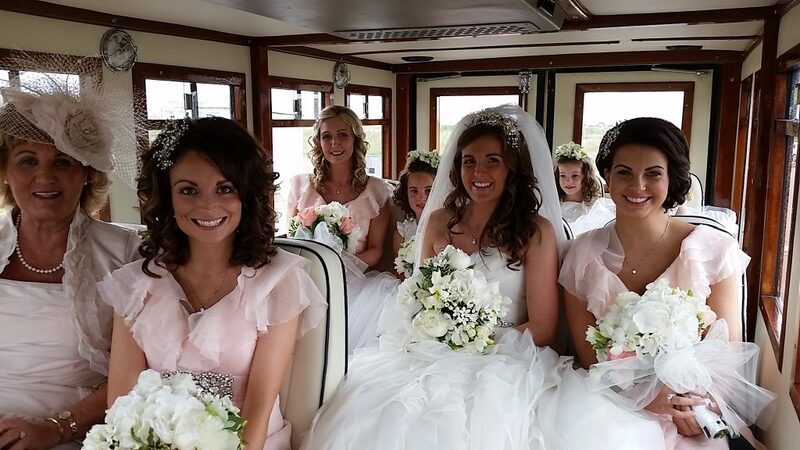 These vehicles are a fun and luxurious way for the bride, bridesmaids or guests to travel and is very easy to get in and out of. 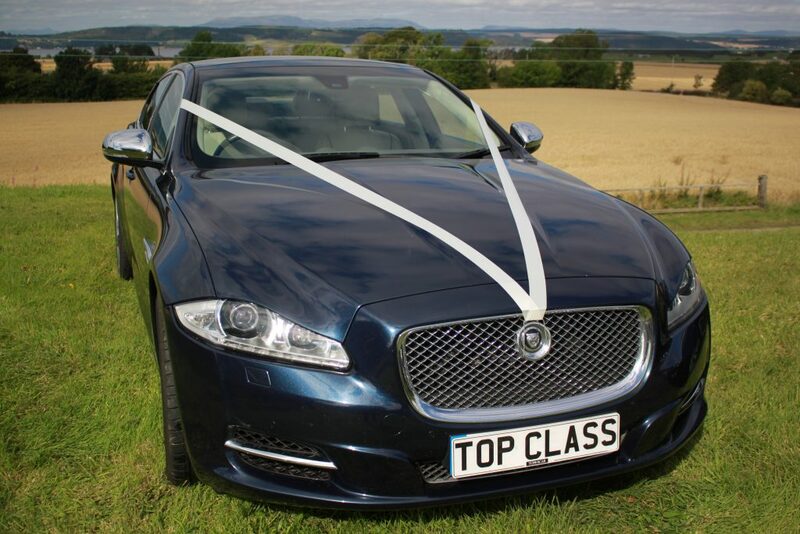 We can also personalise the side panel to include the bride and grooms names and wedding date to create a unique photo opportunity.